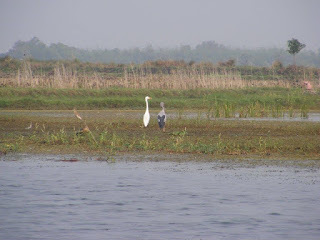 Purbasthali is one of the best places to see birds in West Bengal. 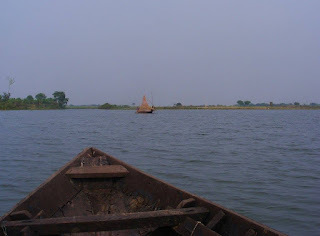 It is a small place in Kalna sub division of Burdwan district, where on the banks of river Bhagirathi an Oxbow lake have been formed as the river changed course over time. 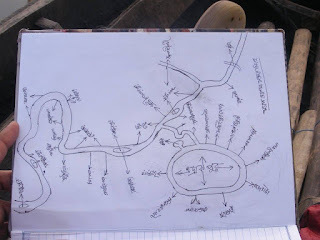 An oxbow lake is a U-shaped body of water that forms when a wide meander from the main stem of a river is cut off, creating a free-standing body of water. This landform is so named for its distinctive curved shape, resembling the bow pin of an oxbow. The word "oxbow" can also refer to a U-shaped bend in a river or stream, whether it is cut off from the main stream or not. This lake is still connected to the river. 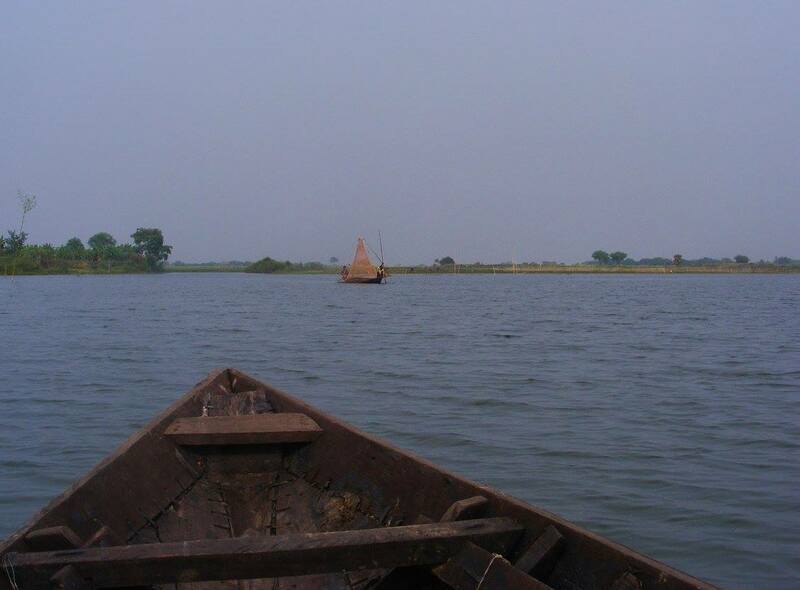 The length of the lake is around 2-3 km. During monsoon when the water level rises, the whole area gets flooded, but in the winter when the water subsides, lots of small islands rise up. This has created a unique ecosystem where tall grasses and scrubs grow in abundance on these islands, making it the safe haven for the birds, both resident as well as migratory. 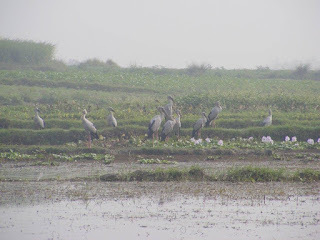 Birds fly from North India, Africa, Siberia. I was planning to come here for last 4 years at least ! The place is called Chupi or Chupi Char by the locals. It is only 8 km from the holy town of Nabadwip (of Chaitanya deb fame). It is 8th stop from Kalna and 3rd stop after Nabadwip. The train station /Post office is called Purbasthali. 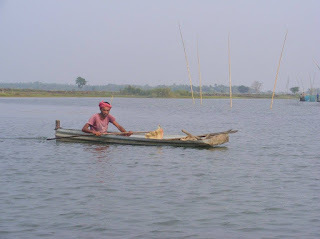 The Purbasthali water-body area basically comprises of two villages Chupi and Kasthashali. I read from a blog, Poet Satyendra Nath Dutta was born here. Train : It is better to take train. Road conditions are not good as on date. We (Madhurantika, Debasreee & family) left by 5.38 am train from Howrah and took Katwa local (fare Rs 25 and Rs 15 for half fare) and reached there at 8.15 approx. 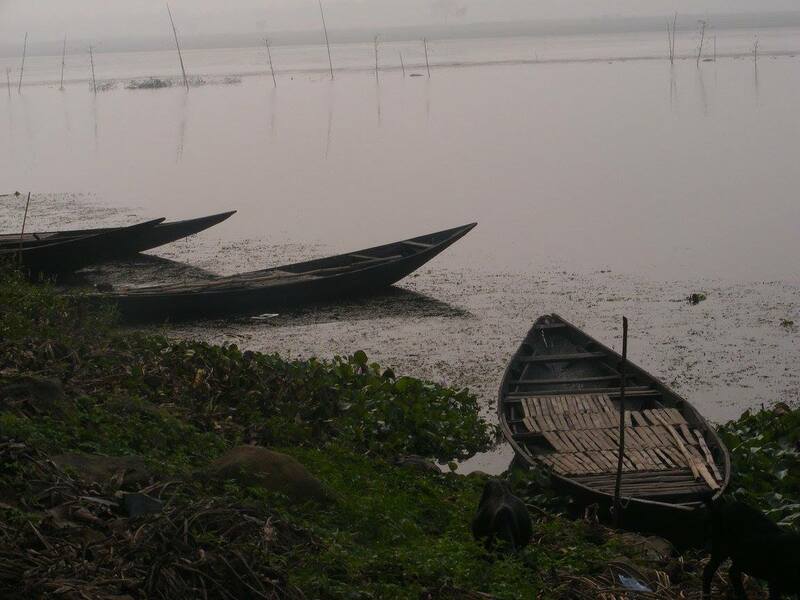 It takes around 3 hours to reach there, depending upon the time you leave from Howrah / Sealdah station. Either go early morning or the evening before to plan the boat trip in the early morning, to get the right angle of the sun. It makes a huge difference. The ideal way to see birds would be to take a train in the afternoon. Then spend the night at Purbasthali and start early on the next morning at 6.30 am. Do not miss the early morning hot Rosogolla there ! 2. 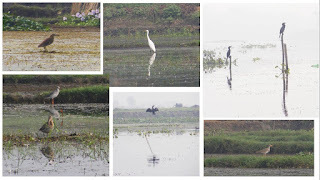 Pvt run guest house – run by ‘Kasthashali Banabithi’ a body formed by the local people for preservation of the biodiversity of the lake area and the birds (Secretary of Banabithi - Nabi Baksh Seth -97321 423 62). Our guide Sanjay is also a member of this group. We have been told that the room is very basic. So please enquire properly before staying. The room rates are Rs 400. Upto 4 persons can stay. There are 3 rooms. After we reaching there, we took a cycle van (Rs 10 per head) to go the market/bazar area which is the only place where you can take Packed lunch. (Electric car Toto's fare is also same). 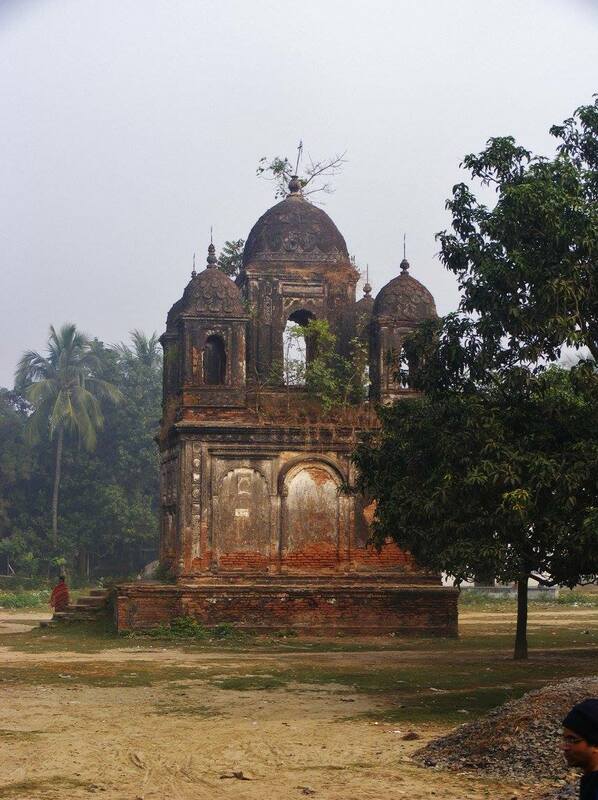 On the way we saw an old dilapidated Atchala and Pancharatna (5 Tower) terracotta temple. Actually the architecture of the temple is quite stunning. We bought some Petai Parota ( Rs 8/- for 100gm !!) and got it packed for eating in the boat. We met our guide Sanjay Singha (9564 64 26 94) at the Bazar area. Before leaving, we ordered for our lunch. There is no restaurant there, in true sense of the term. My friends bought some locally made jhola gur and Patali gur (Jaggery) . We started our boat ride at 9.30 am with our guide Sanjay. ‘Kasthashali Banabithi’ understood that this would be an unique opportunity to develop the area as a tourist destination and thus local economy would see an upsurge. Their vision is coming to reality and today ‘Purbasthali’ is an important bird sighting place of Bengal. Without him, we would have been clueless. Do not make the mistake of not taking his help. Not only he knows the routes in the lake, but also birds like the back of his palm ! We are astounded by the commitment of our guide Sanjay . He is trying his level best to promote the place and save the birds from poachers. 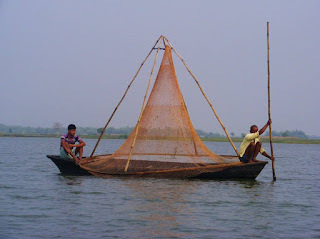 He has been featured in leading dailies of Kolkata (ABP) at least four times, for his effort. His own house is engulfed by river and comes from a very poor background. He has hardly any place to stay. He got himself literate only in the year 2000 or so. Now he travels with books of Salim Ali in his hand ! some dedication ! Number of times he had to show me the name of birds from the book. He is carrying other books also. 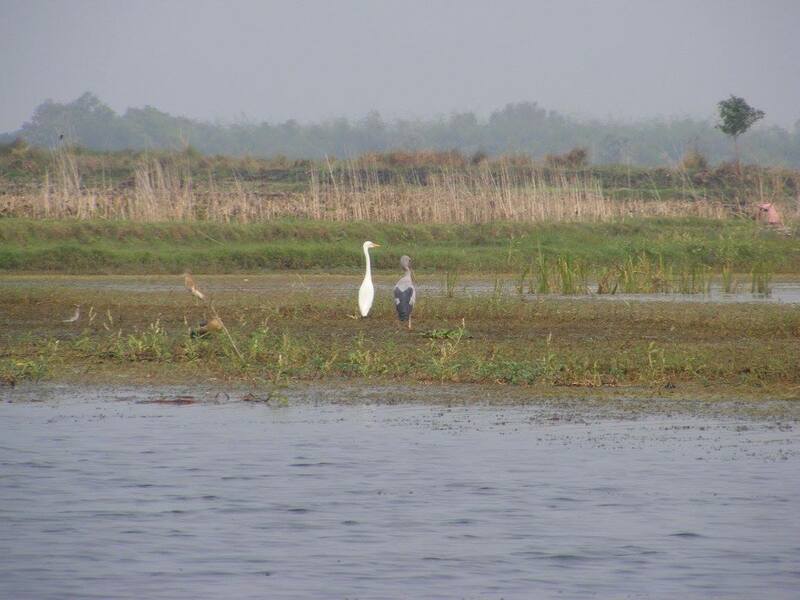 He has a binocular with him for spotting birds. He once accompanied Discovery channel in 2007 – they have gifted him the binocular for his great service. But he has binocular vision ! He has drawn attention to the authorities whenever there has been a case of poaching. His effort has not gone wasted. The rates are Rs 100 per hour for Sanjay and for the boat it is Rs 150 per hour. He can arrange everything including food,if you want. Since the weather was pleasant we enjoyed our boat ride a lot. I kept on asking various questions to Sanjay. He was courteous to answer all my queries. We returned back to the shore at around 2.45 pm. There is a personal tragedy. My mobile (smart phone) fell inside the boat, when I dozed off ,while returning back to the shore (water sips inside the boat all the time and it fell into that water) and was declared dead in Kolkata ! We had a quick lunch and took 3.32 pm Katwa local to reach Kolkata at around 7 pm. lens otherwise be content just with the boat ride and by viewing the birds from a distance! Tip 2 : If you are going to go to Purbasthali please carry your own food. Tip 3 : This area is arsenic prone hence avoid drinking water from tube wells. What to do when smart phone drops in water ?